Your hands are the first part of your body to slice through the air, yet fingers are an aerodynamic disaster. They don’t need to be if you wear the Aero Speed Glove. 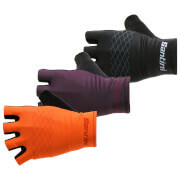 I wasn't quite sure what to expect from the Castelli gloves as all my previous 'summer' or light-weight gloves were either full-fingered or fingerless; these were a combination of both. I was pleasantly surprised. The fit at first was exceedingly tight so my initial thoughts were that I should have gotten the size up. 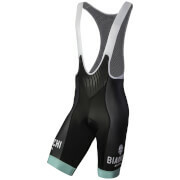 Once on though, and on my first ride out in them, they were excellent; the fit that was designed for my hand size snugly enveloped by the Lycra mix, the index finger separated for support, the further three fingers tightly tethered 'lobster' style. They were certainly aerodynamic! Along with my compression top, which included a thumb-loop, it was the most aerodynamic I'd felt on my triathlon specific bike, and it was a bike ride that felt somehow easier than usual. The palm grip offered enough padding to alleviate any associated pains, and supplied enough grip to own the handlebars and the aero bars. Although on the underside of the wrist is located a weirdly-angled seam which is awkward when not riding, it is unnoticeable when cycling. My only complaint are the labels and washing instructions found in the inside of the right-handed glove which can be scratchy, although there are scissor cutting guides that suggest it can be fully removed. 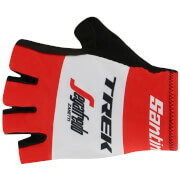 An all-round excellent glove, which will prove to be an essential addition to my bike-wearing wardrobe.